Tiny Giants held its 3rd annual gathering at The Container Yard. Featuring the worlds largest collection of custom painted model trains. Graffiti artist from all over the world displayed their work. OG Slick came through to sign limited edition posters for the first 100 attendees. 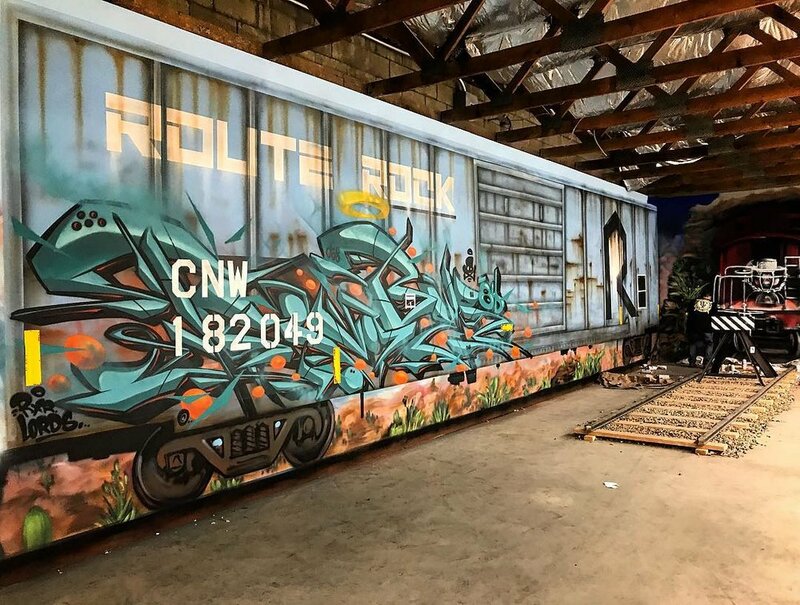 Wall panels were painted with hyper-realistic renderings of freight cars by a myriad of talented and prolific artists. TCY x Tiny Giants collab pop-up shop neighbored the live painting. 3D printed paint caps, laser cut wooden slap tags, artist prints and t-shirts are a few of the different products on display. The slap king, SEARCH showed TG3 and TCY love with his presence. He will be highly missed and forever remembered for his shear talent, passion and influence in graffiti. Condolences go out to his family and friends.